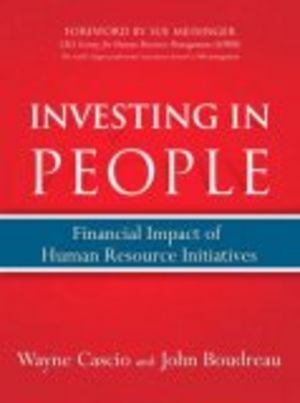 Investing in People introduces a breakthrough approach to Human Resources (HR) measurement that systematically aligns HR investments with organizational goals and helps make HR the true strategic partner it needs to be. Wayne F. Cascio and John W. Boudreau show exactly how to choose, implement, and use metrics to improve decision-making, optimize organizational effectiveness, and maximize the value of HR investments. You'll master crucial foundational principles such as risk, return, and economies of scale-and use them to evaluate investments objectively in everything from work/life programs to training. Cascio and Boudreau also introduce powerful ways to integrate HR with enterprise strategy and budgeting and for gaining commitment from business leaders outside the HR function. If you truly want "a seat at the table"-or if you want to keep the one you have-you'll find this book utterly indispensable. It's a lesson I learned more than twenty-five years ago, as a young manager, from one of the most effective executives I've ever worked with. More importantly, I also learned that "measuring it" wasn't enough. What's measured, why it's measured, and how the measurement is used to drive outcomes are what really matters. As the human resource (HR) profession has continued to evolve beyond transactional responsibilities, many HR professionals have embraced the fact that technology enables them to collect and analyze data efficiently and in ways never before possible. They've discovered that the ability to analyze, measure and articulate HR's contributions to organizational success allow them to make even greater contributions within their organizations. They're using measurement to invest in people. 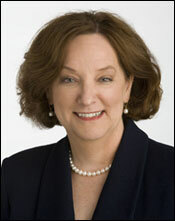 But many HR professionals aren't agile in the use of measurements to move their businesses forward. Some simply don't know where to begin or are still looking for the "one true way" to measure - or are asking, "just tell me what to measure and what the number should be." They are thirsty for an analytic framework that underlies the whole issue of measurement. The mission of the Society for Human Resource Management (SHRM) is to serve the HR professional and to advance the HR profession. As you read this book, I think you'll find that Investing in People shares this mission. The profession will be well-served by the tools and analytic frameworks for the use of measurement provided by Wayne Cascio and John Boudreau. The observations offered by the authors on how best to "get started" in using measurements to inform and motivate strategic partners to think more clearly about the implications of decisions about talent will also serve the HR profession well. By basing their work on a foundation of solid scholarship and practice gained through their academic and consulting experiences, Wayne and John help to advance HR as a profession that is recognized as a decision science requiring special knowledge and expertise.